Are the floors in your Euclid home in desperate need of a revamp? 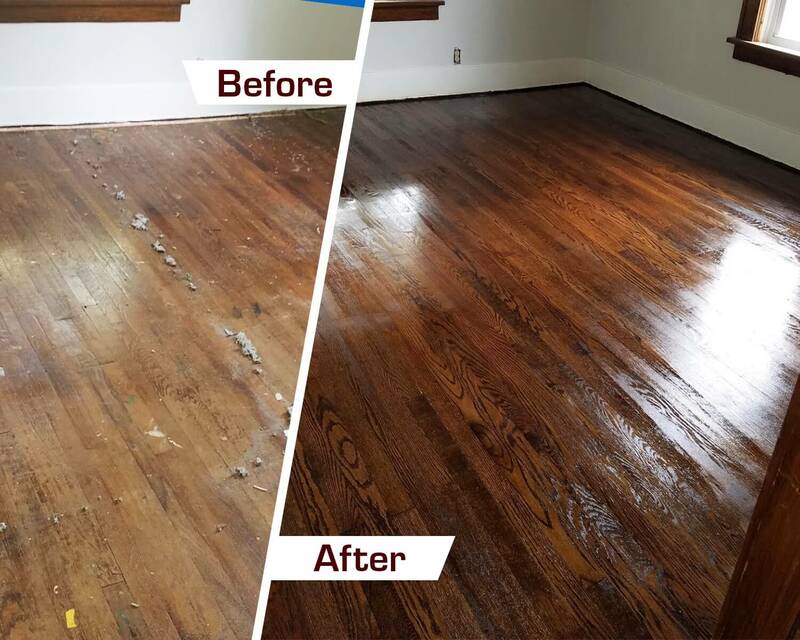 Fabulous Floors is eager to show you what a difference our hardwood floor refinishing service can make for your home in Euclid, OH! Get affordable and efficient wood refinishing from our expert technicians. Call today for a free price estimate of our hardwood refinishing treatment or to book an appointment! Throughout our many years in the floor renewal industry, we have perfected the art of hardwood floor refinishing. We always work quickly and effectively, finishing most of our jobs in just 1-2 days. First, we remove any existing carpet that may be present, making sure not to damage the hardwood floors underneath. Next, we use our innovative sanding machine to sand down the hardwood floors in order to eliminate any scratches or dings that may show. Also, our sanding process is virtually dust free! Because of this, you won’t have to worry about cleaning up a big mess. After the sanding is complete, we use one of our oil-based stains to stain your hardwood floors. We have a large selection of stain colors for you to choose from! Lastly, we apply an even coat of our long-lasting polyurethane finish to your hardwood floors. This ensures strong protection for your hardwood floors against future damage. We are confident that you will love your hardwood floors after our service is complete! All of our products and services are GREENGUARD Certified, so they are completely safe for you, your family, and the environment. We make certain that our products won’t affect the environment around us. At Fabulous Floors Cleveland, we are committed to the highest quality of work and customer satisfaction. Get in touch today to schedule your next hardwood floor refinishing project or to learn more information about our services. Bring back the beauty of your hardwood floors today!